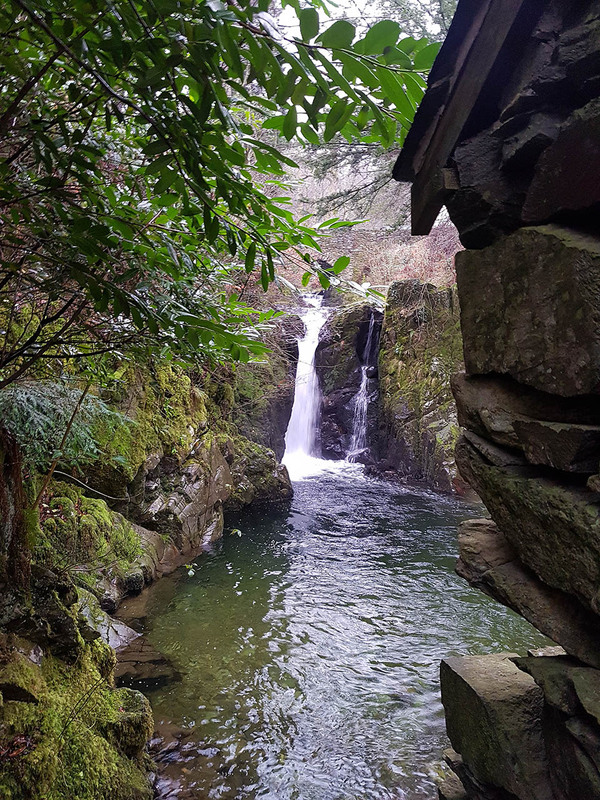 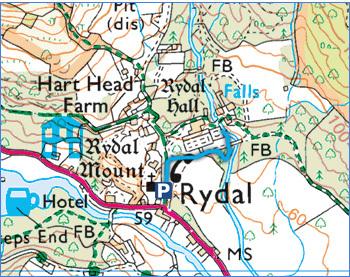 A short stroll down to Rydal Falls. 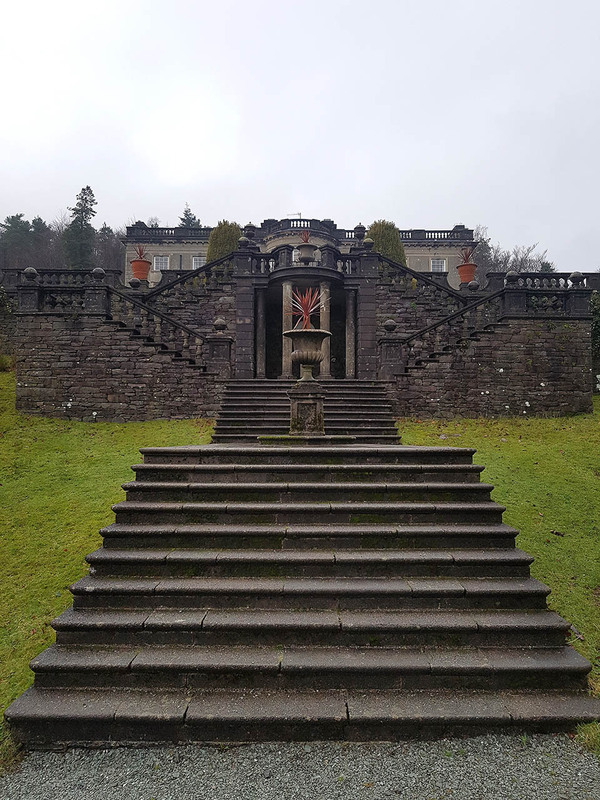 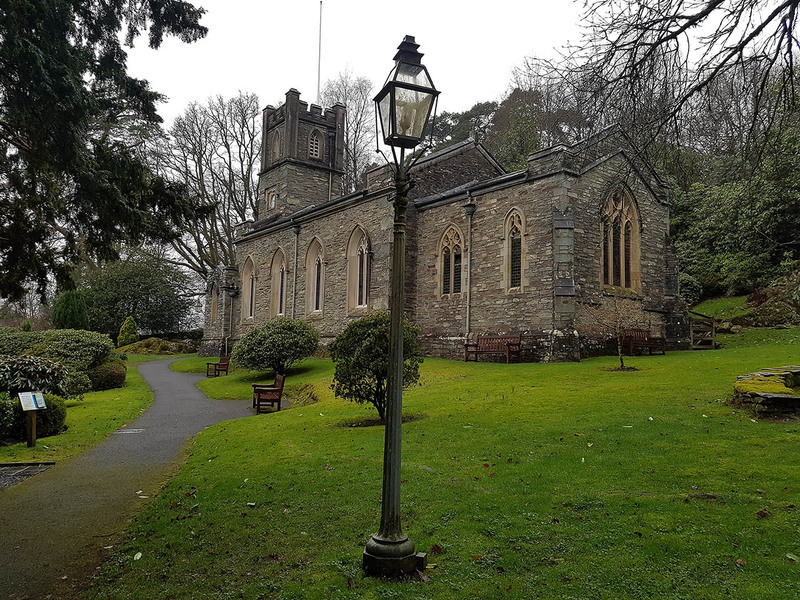 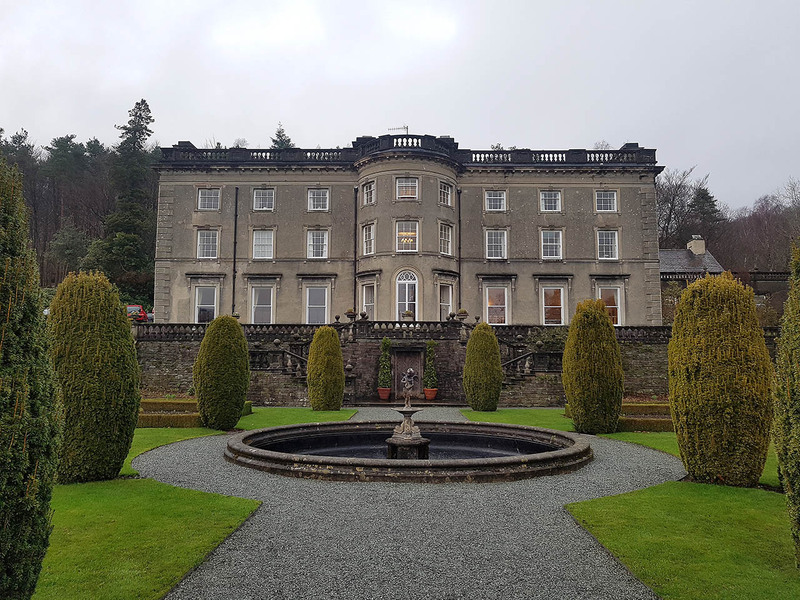 The steps up to Rydal Hall. 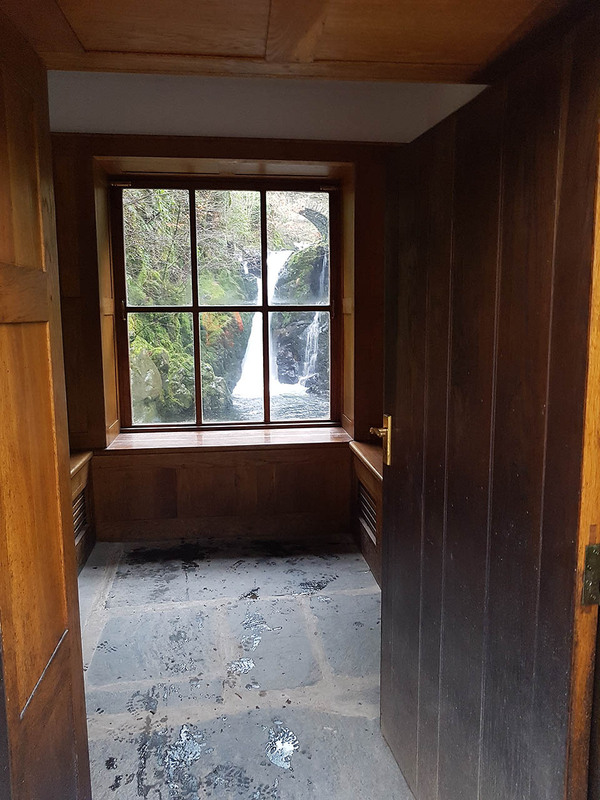 The view through the window to the falls.